Should You Worry About the Insects Living in Your Christmas Tree? 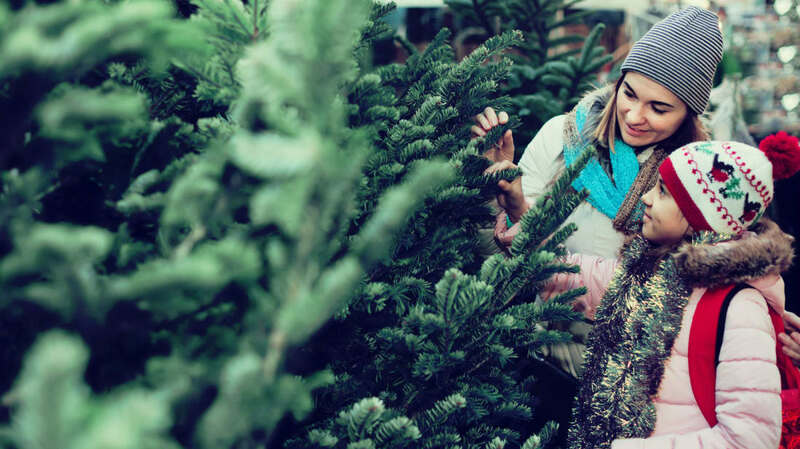 If your kid is a budding entomologist, the best present he or she could get might be your Christmas tree. According to the New York Daily News, more than 25,000 insects can be found on the freshly-cut trees millions of Americans will be dragging into their homes this holiday season. Among the squatters: pine bark adelgids, bark beetles, lice, and spiders. The good news is that you don’t need to worry about calling an exterminator. Most insects found on trees aren’t the invasive type, preferring the confines of conifers. But it’s still a good idea to perform a little preventative action before bringing a tree into your home. Many tree lots have mechanical shakers that agitate trees hard enough to shake off many insects. If not—or if you just want a little added protection—you can do the same thing manually by shaking the tree over a sheet in your garage. Penn State’s Department of Entomology also recommends removing any bird nests you may find on the tree, since they can harbor mites and lice. If you see insect eggs (typically from gypsy moths and praying mantises) get rid of those, too. Since there’s nothing cozy about a tree fire, avoid using any liquid or aerosol-based pesticides; in addition to being unnecessary, they’re highly flammable. Any insects that do make it off the tree and set up residence on a wall or ceiling can be vacuumed away after the holidays. If only the same were true of in-laws.